← How to set page orientation and convert DOC to PDF via command line? How to convert OpenOffice documents of ODT to JBG? The application docPrint Document Converter Professional supports to convert OpenOffice document of odt to jbg. Not only odt to jbg, it can convert any printable documents to image formats. With three applications in docPrint Document Converter Professional, you can choose anyone to use according to your needs freely. Please download docPrint Document Converter Professional at the following website: http://www.verypdf.com/artprint/docprint_pro_setup.exe. When you install it on your computer, you will be reminded whether to set docPrint as the default printer in the end of the installation. If you choose “Yes”, the conversion from odt to jbg will become easier. Please see the following contents which show the conversion details in three steps. Step1. Please open the ODT document and click “File”—“Print” to open the “Print” dialog box. Then you are able to choose “docPrint” as the current printer in “Printer” combo box. After that, please click on “Print” button. If you don’t like this way, you can also use the hot key “Ctrl”+ “P” to open the “Print” dialog box. If you have set docPrint as the default printer, please right click your ODT document. In the popup dropdown list, just click “Print” option, which can run docPrint directly. Step2. In the “docPrint” window appears on your screen, you should try to open the “Save As” dialog box in which you can make changes to the target file and run the conversion from odt to jbg. Please click “File” and click “Save as” in dropdown list or use the hot key “Ctrl”+ “S”. The “Save File” button will also do you a favor. Step3. 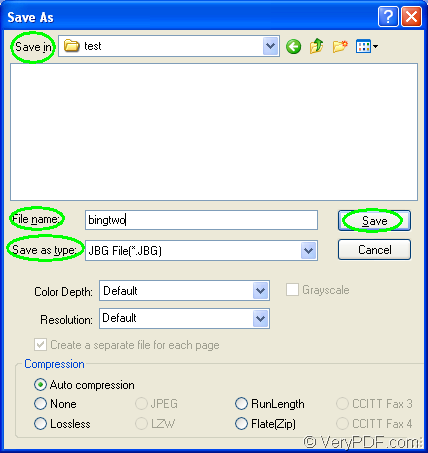 Figure1 shows you the “Save As” dialog box. 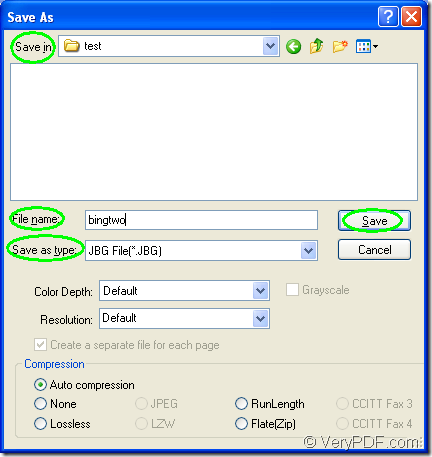 Please have the target file saved in some location of your computer in the “Save in” combo box. Then you can have the output file name inputted in “File name” edit box. In “Save as type” combo box, you should choose the right output format for the target file. Then please click the “Save” button to run the conversion from odt to jbg. The output file will be saved in the specified location. After clicking on “Save” button, the conversion from odt to jbg will run and you can see a green progress bar at the bottom of the interface of docPrint. Please leave messages if you have some questions. You can get some more related information or functions about the application when you click here. How to convert documents of OpenOffice to CIN? How to convert documents of Microsoft Office Word to emf?